brows that emphasise and compliment your bone structure. You’ll be amazed what a difference a shaped brow or a spectacular eyelash extension can make, giving you a well-groomed, finished look, ready for make up. Here at Beauty Temple we work with only the best brands to offer our clients the best in brow and lash treatments. HD Brows is eyebrow artistry! The unique treatment for the ultimate well-groomed, high definition eyebrows. 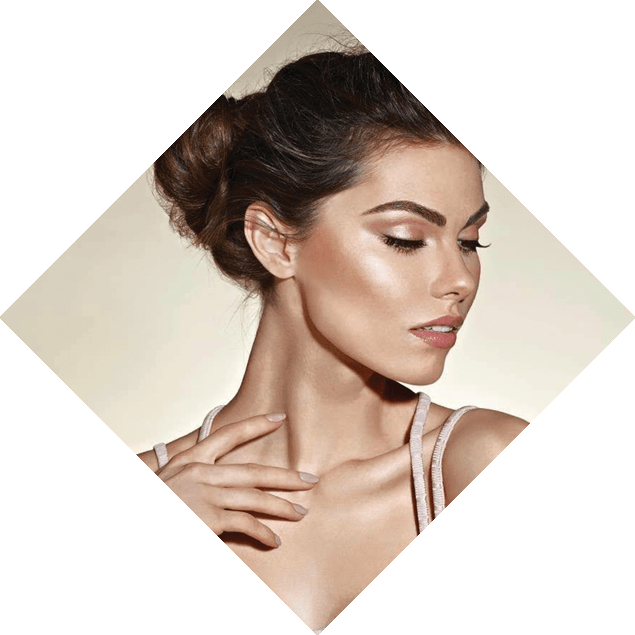 Our professional team will give you a look that suits your face shape and bone structure, for a bespoke brow that’s exclusive to you. Created exclusively by Nouveau Lashes, LVL Enhance is the revolutionary natural lash treatment taking the beauty industry by storm. It straightens your natural eyelashes at the root, creating the effect of longer, lifted lashes in just 40 minutes. Coupled with our Nouveau Lashes Conditioning Serum at home, your treatment will stay with you for 6-8 weeks. Please note: Patch tests are required 48 hours prior to every treatment. HD Brows is eyebrow artistry! The unique treatment for the ultimate well-groomed, high definition eyebrows. The HD Brows eyebrow shaping procedure transforms the way you look. Unlike many other eyebrow treatments that use a ‘one shape fits all’ technique, our HD Brows stylist will assess your face shape and colouring before creating a bespoke brow, tailored exclusively for you. LVL straightens your natural eyelashes at the root; unlike a traditional lash perm it creates the effect of longer, lifted lashes in just 40 minutes. They’ll stay that way for six to eight weeks too, especially when nurtured with our exclusive Nouveau Lashes Conditioning Serum. The results are immediate, plus the added lash tint creates a mascara-type effect so you are always ready to go. Spectacular eyelash enhancement, giving you fuller, longer natural or dramatic lashes in the blink of an eye! Semi-permanent eyelashes enhance your natural look by adhering a synthetic eyelash to each of your natural lashes. These can last up to 6 weeks, however we do recommend an infill every 2-3 weeks. Rehydrate and reduce puffiness with our Gold Collagen Eye treatment, receive a de-stressing hand and arm massage and see the world in a whole new way. Perfectly applied strip lashes in minutes, for an instant glamorous look to last for 24 hours. Eyelash tinting is the most effective alternative to wearing mascara. Eyebrow tinting is a simple way to add definition to your brows. Add definition to your brows and lashes. Threading instantly removes all unwanted hair from the eyebrows, a great alternative to tweezing. The eyebrows are waxed and tweezed to define the face. The eyebrows are waxed, tweezed and tinted with natural colour to define your face and frame your eyes. Revamp your make up collection and discover a new look with our makeover. Our professional make up artists will help you find the perfect foundation for your skin, as well as colours to compliment and enhance your eyes, lips and cheeks. Why not complete the look with strip lashes for just £8. The cost of this makeover is redeemable on two or more products purchased from the Delilah make up range.